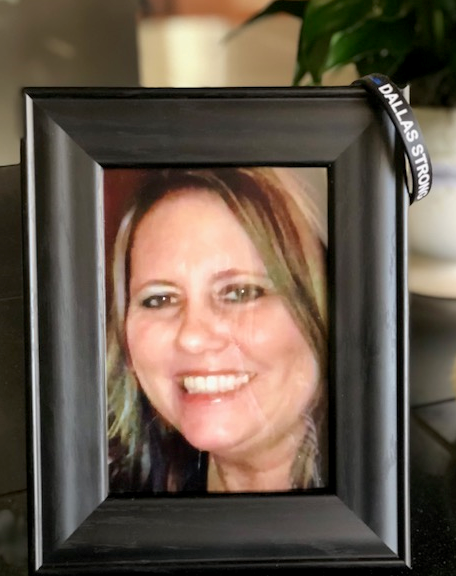 Last week, apartment manager Nancy Churchwell was gunned down by a disgruntled former employee at the North End apartments on Field Street near downtown Dallas. Nancy’s friends and family have asked that donations be made to the Assist the Officer Foundation in her honor. Nancy always held a special place in her heart for the Dallas Police Department. One of Nancy’s co-workers, Carrie Stallings, said Nancy always wore her wristband in support of police and she even donated the old gym equipment from the apartment facility to the Dallas Police SWAT team. The Dallas Police Department is honored to receive such a touching show of support by Nancy’s family and friends as they cope with this tragic loss. Nancy, her family, and friends will be in our thoughts and prayers. Thank you again for the continued support. We truly appreciate it.